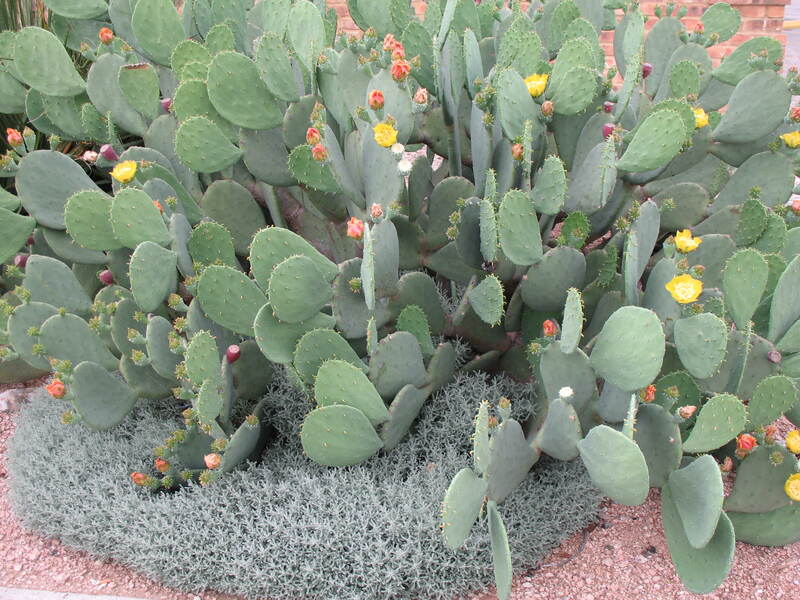 Comments: Prickly pear cactus represent a number of species of the opuntia genus. All have flat, fleshy pads that look like large leaves but are actually modified branches. Flowers vary in color from cream to yellow and to red. Fruit are edible and sold under the name 'tuna.' Vary in height from one to seven feet.